This season's take on dresses is just what you need to bring life back to your party dressing. A perennial choice for a classic, gala dinner frock. The side sash across the shoulders adds a feminine and flirty touch to the muted outfit. Effortless and feminine, simply pull on this dress on a dressy day for minimal effort and maximum impact. 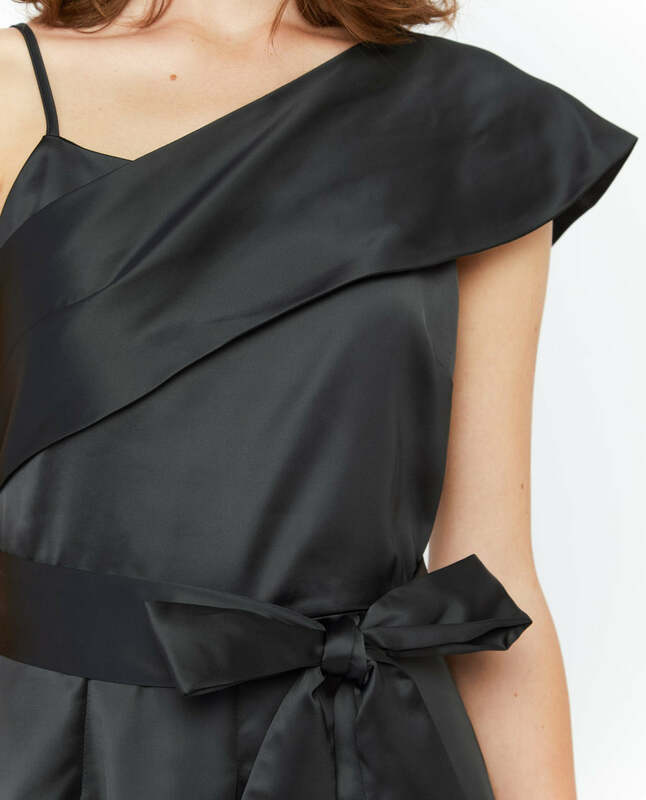 If you're looking for something to wear to your next wedding or spring event, Alexandra Satin Dress is a great option. XS: 37.5" x 16" x 13"
S: 38" x 16.5" x 13.5"
M: 38.5" x 17.25" x 14.25"